The award-winning Royal Liverpool Philharmonic Orchestra is the UK's oldest surviving professional symphony orchestra and has been at the heart of Liverpool’s cultural life since 1840. 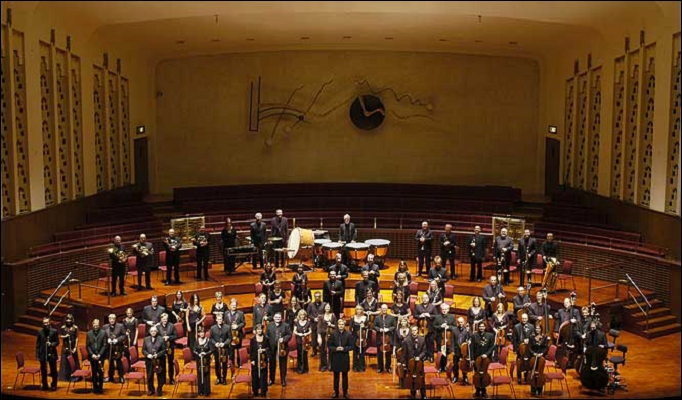 The Orchestra gives approximately 70 concerts each season (September – June) in its home, Liverpool Philharmonic Hall, as well as concerts in venues across the city, including Liverpool’s two cathedrals, and wider. The orchestra's Chief Conductor, Vasily Petrenko, joined them in 2006 and will remain with the Orchestra until 2015. The Orchestra tours regularly throughout the UK and world-wide and has an extensive discography featuring many critically acclaimed recordings. Their Chamber Music Series presents the world’s finest quartets, vocalists and recital artists in the beautiful setting of St. George’s Hall Concert Room, while the Family Concerts offer children aged 4-10 and their families the opportunity to experience orchestral music in a fun and interactive setting. In 2001, Classic FM and the Royal Liverpool Philharmonic announced a partnership, initially for three years, that saw the Orchestra adopted as the ‘Classic FM Orchestra in North West England’ and the station’s first arts partner. The partnership, which now extends until 2015, was borne out of a mutual desire to build new audiences for classical music. It is brought to life on-air, online, and in the pages of Classic FM Magazine, on stage at Liverpool Philharmonic Hall through the Classic FM branded concert series, with accessible repertoire reflecting the station’s play list, and when the Orchestra is regularly chosen to perform at Classic FM’s two Royal Albert Hall concerts each year. The Royal Liverpool Philharmonic Orchestra undertook two highly acclaimed concerts in the 2014 & 2015 Welsh Proms Cymru and is delighted to be returning for the 31st Anniversary 2016 season. The Royal Liverpool Philharmonic Orchestra will feature in The Planets / The Shadows of War on Tuesday July 19th.